A program exploring practices homesteading. Rachel Hillier introduces Corrales agricultural history and issues, water rights and the acequia, beginning sustainability and more. A class-based program that offers lectures and hands-on activities that demonstrate the practices used in modern and traditional homesteading. 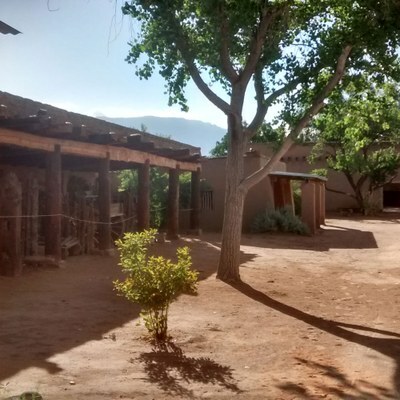 Rachel Hillier of Little Dirt Farms will introduce you to Corrales agricultural history and issues, water rights and the Acequia, beginning sustainability, and more. Additional class dates: April 27, June 29, July 27, August 10, October 26, and November 9 — $15 ea. 5/18/19 Farm Maintenance: Watering, Weeding, Planting, Scheduling. 7/27/19 Preserving Harvest: Fermenting, Canning, Freezing, Drying.